People need a creed and a cause, and today millions of patriotic Americans are finding their voices. They say the best indicator of the future is history. How things have been can be a powerful signal of how they will be. But what will be our role in shaping the future for this country? In The Coming Revolution Dr Richard G. Lee powerfully explains that a new revolution is coming. It may be in the streets of our nation’s capitol—as we saw in Europe last year—or, better yet, in voting booths across America. 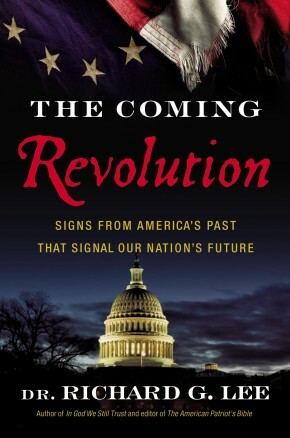 Signs from our nation’s past and present ring out the truth: a second American revolution is near at hand. Using this country’s rich heritage of liberty and democracy as a roadmap toward where we could be headed, Dr. Lee brings thoughtful clarity to the ever-growing probability of such a revolution in America;illuminating the important reminder that the voices of every revolution have been—and always will be—the ordinary everyman. Discover how you can be a part of this country’s social, political, and moral reform and how faith in God serves as the one truth that can provide both individual and national guidance for America’s next revolution.